I had been looking forward to this movie for a long time. I heard a lot of negative reviews. People were saying that it really wasn't a Sherlock Holmes movie. I have to say that I just thought the movie was fair. 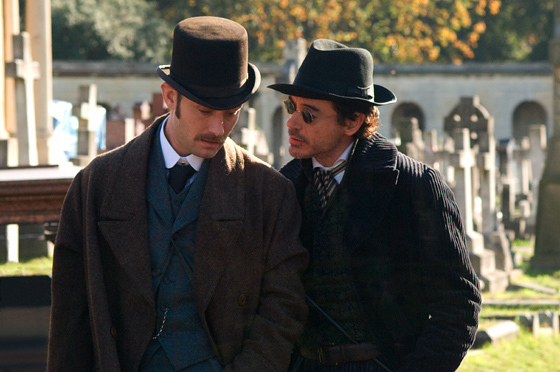 Robert Downey Jr. really didn't play Sherlock Holmes. He did have a friend named Dr. Watson, but Dr. Watson was engaged. He also lived at 221B Baker Street. He plucked the violin a little bit. He was good at making deductions, although this part was underplayed. And he had an adversary/lover named Irene Adler. This Sherlock was mostly a physical hero. He knew some form of karate and was fighting people for large portions of the movie. There was also something goofy about the character as portrayed by Downey, and Sherlock was definitely not goofy. The story was kind of convoluted and again looking to tap into the Da Vinci Code conspiracy themes. I thought the look of the movie was really good. The street scenes, the room interiors and the House of Commons were really well done. Overall I thought the movie was just OK. It could have been much better. I hope the sequel in 2012, where Sherlock meets Moriarty, is more faithful to the Arthur Conan Doyle Sherlock Holmes.